One of the things we love about living in Hawaii is that it’s a place in which the residents have really taken it upon themselves to take care of the land around them. 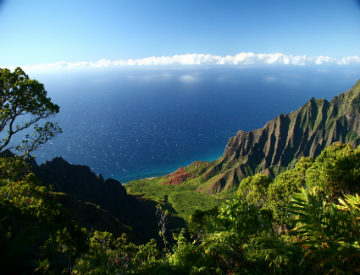 Hawaiians value the ‘Aina, or land, and the plants and animals that depend on it, and thus eco-friendly living and growing is commonplace on the islands. If you’re planning to visit Hawaii in the coming months, consider embarking on an eco-tour to learn more about the unique environments on the islands, and how the people work to sustain them. Native Hawaiians established the model for sustainability thousands of years ago, and many of the same practices are still being used today. Learn about these ancient fishing, farming, and planting methods when you visit the Puuhonua o Honaunau National Historical Park, which was once refuge for those who broke ancient Hawaiian laws. On the grounds are fish ponds, sacred temples, and thatched houses. Guides will tell you more about ancient Hawaiian traditions and how they tied people to the land. Get a sense of more modern sustainability when you visit the island’s many botanical gardens. Hawaii Tropical Garden is home to more than 2,500 varieties of tropical plants, and the farmer’s markets all boast locally grown fruits and vegetables. Most farmers take the foods to market themselves and will be happy to tell you about their growing practices. Make sure you include Paradise Meadows Orchard & Bee Farm on your eco-tour. Learn how we produce honey, macadamia nuts, coffee, and other delicious Hawaiian goodies in ways that are not only good for your taste buds, but also for the land. Our farm stand is open 7 days a week, and we offer farm tours, too! Visit our website for more information about Paradise Meadows Orchard & Bee Farm, or to order some of our delicious treats.